From the conception of Illume we had a vision. Our vision was to not only create a product that filled a need, it was also to build a brand and image. We wanted this image to be high end in look and feel, simple, modern and have an underlining sense of femininity. How do you convey all of this into a logo and website? We knew we would need an experienced professional to pull it off… enter Shayna Proctor. She has over 10 years of graphic design experience, has worked for some of the top design firms and is finishing up a graduate degree in design from prestigious art school in San Francisco, California College of the Arts. Shayna was able to quickly understand our vision and execute it flawlessly into a custom designed logo that we could not love more. We loved hearing her describe the science behind the font she designed. Not only is she an incredibly gifted artist she is also one of the best people I have every met. 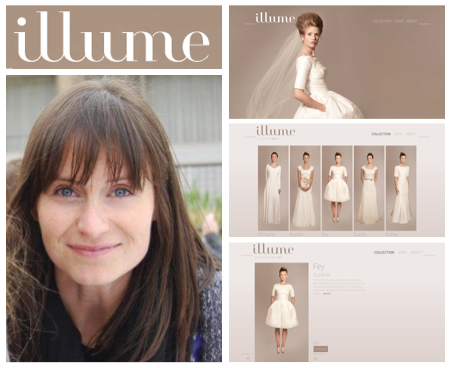 At Illume we love to surround ourselves by women who inspire. Shayna’s design ability, passionate energy and kind soul are truly inspirational! I’m so proud of you. I just love your work. Thanks for letting me be a part of it.